Spring is considered by many as the kick-off period in the housing market. It’s perceived that the weather is getting better. Christmas has become a distant memory. Many people think that a spring sale will mean an actual Summer move.The reality though is slightly different. First of all, Easter is late this year, and that for many home sellers is used as a benchmark. It’s the first bank holiday of the year and a chance for them to get their home ready for marketing. March has also had some rather dreadful weather (who else lost fence panels?) and of course, dare I mention, the farce of Brexit. We are still no further along. Uncertainty is a real concern for many people we meet. Sales in Lancaster were 9% down year on year, and 6% down on the previous month. Is it really due to Brexit? Or the fact that Easter is later this year? Time will certainly tell. What happened in March in Lancaster? In March 2019, 78 homes went under offer. This was 7 less than March 2018 when 85 home sold in LA1. It is also 5 sales less than the previous month. Given the current climate, this result is still very encouraging for Lancaster, especially when you consider Easter is late this year. The higher end market was more subdued in March. There were just 3 sales above £350,000. The most expensive home to sell was a beautiful 5 bed detached home at Highwood, marketed at £450,000. It took the selling agent just over 6 months to find a buyer. 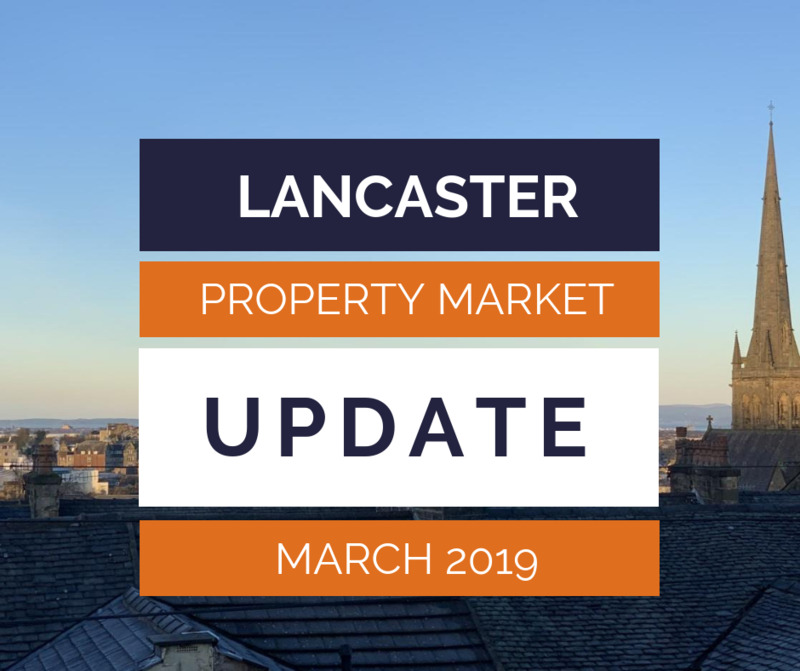 The lower end market which is predominately the first time buyers and investors accounted for 41% of all the property sales in Lancaster. 60% of these sales were terrace homes. It’s is encouraging to see that these homes are back selling well given all the tax changes for buy to let landlords and the rise of affordable home schemes including help to buy. 16 different estate agents agreed the 78 sales in LA1 in March. At JDG we agreed 22% of these sales. We had some great successes in March. Gerrard Street and Elgin Street both got snapped up in 24 hours and with full asking price offers. Sibsey Street had multiple offers and sold over the asking price. Both our bungalows on the Racecourse sold fast and Johnson Close received a superb offer in just days. I’m often asked how we sell so many houses when we don’t have the most to sell. I put it down to an experienced team but one who is also enthusiastic. Selling homes isn’t about property. It’s about people. It is also about great marketing, expert viewings, skilled negotiation and dedicated, in-house sales progression. Can we help you move? Please call us on 01524 843322 to arrange your free home move consultation. Tagged jdg, JDG Estate Agents, jdg gallgher, Lancaster, Lancaster estate agents, lancaster house prices, lancaster property, lancaster property market, property values lancaster. Bookmark the permalink.